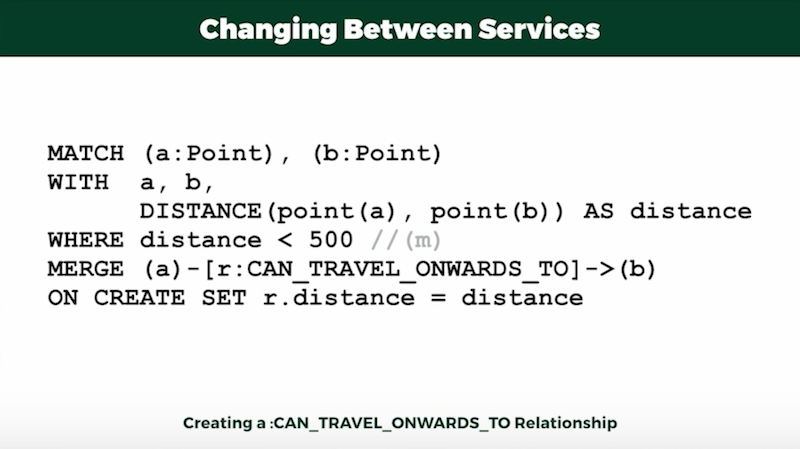 Editor’s Note: This presentation was given by Adam Cowley at GraphConnect Europe in May 2017. 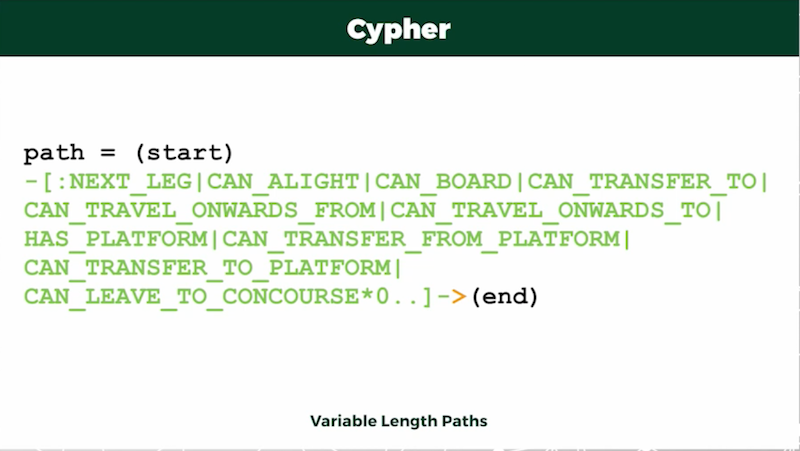 Adam Cowley wanted to create a door-to-door journey-planning tool with Cypher that would allow him to accurately map a trip via train, bus, or both. 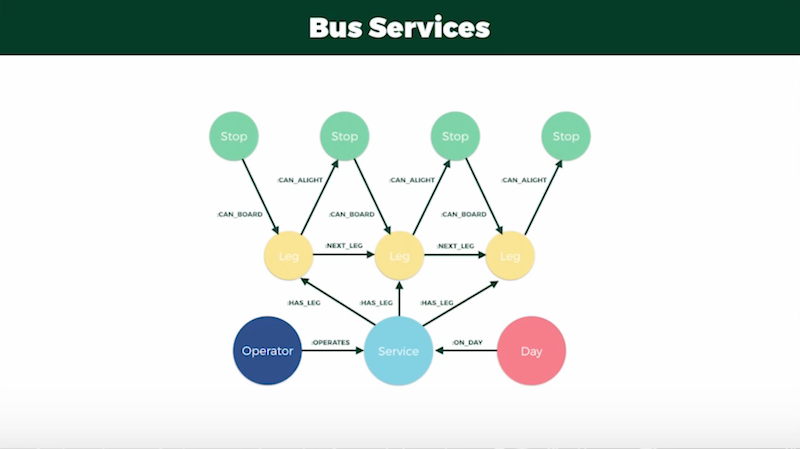 He relied on open-source data from the UK government to compile both the locations and schedules of train and bus routes, data which he loaded into Neo4j via a simple LOAD CSV function. 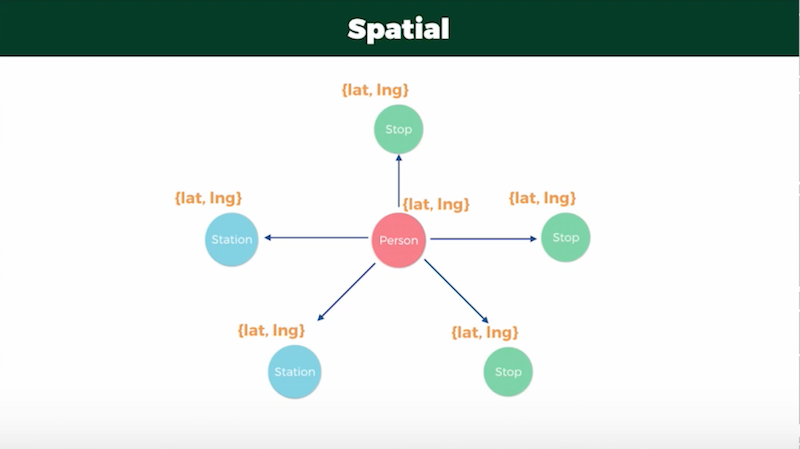 By relying on single-directional relationships that took into account platform and service transfers, and the locations of stations and the traveler, he was able to develop a 200-line Cypher query that pulled data from a database of more than 50,000 nodes with 75,000 relationships, with results returned within two to five seconds. As a full-stack web developer and co-founder of Commit, a multi-disciplined development house, I’ve been using Neo4j for about three years now. 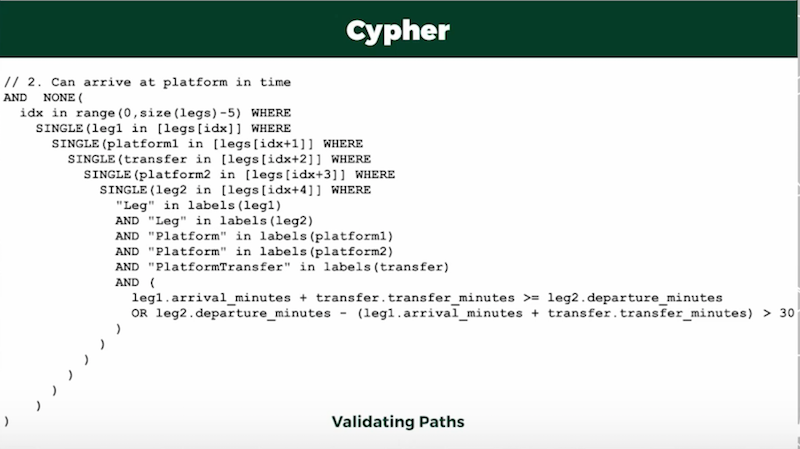 We’re going to go through how I built a journey planner using Neo4j, the modeling decisions I made and the snippets of Cypher that helped me along the way. 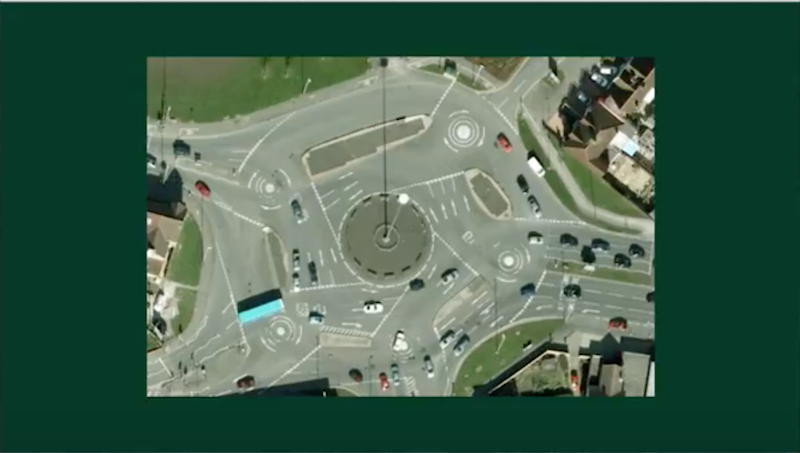 This roundabout is quite confusing to navigate, but it can be simplified through the use of a graph. 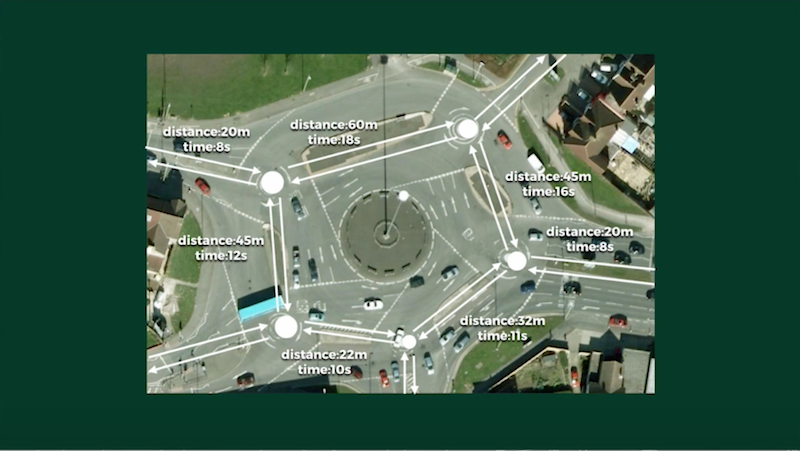 To determine the most efficient route, we can either use the shortest path in terms of number of traversals or by number of seconds. The approach I took to journey planning, in a more broad sense, is very similar, because I essentially just connected the dots between the origin and the destination. I started by mapping train journeys, which required two key pieces of information: stations and schedules. 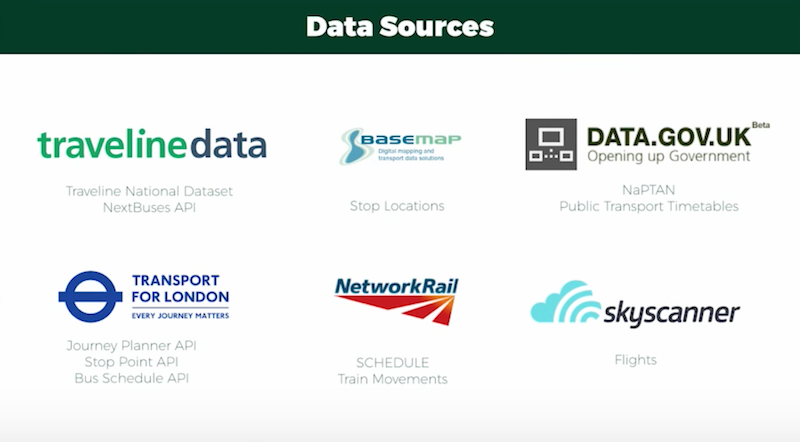 The government’s NaPTAN data set provides location data for all UK transport hubs in a CSV format, which can be easily loaded into our database using LOAD CSV. 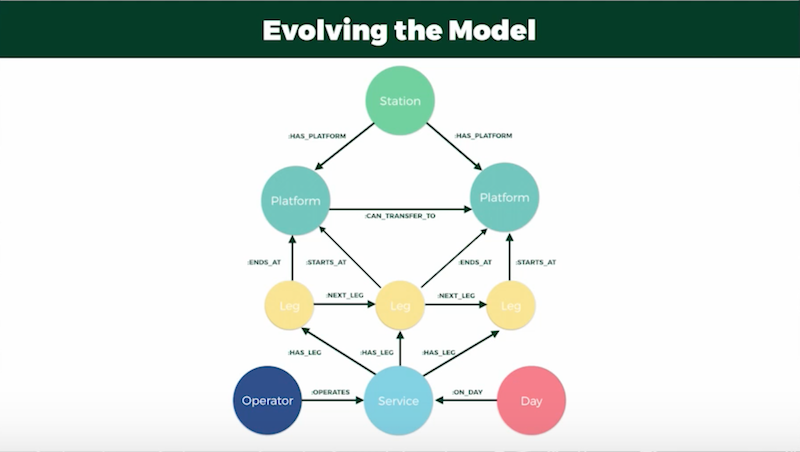 Network Rail provided our schedule information for all train operations across the country via a schedule API, as well as a real-time stream of train movements via a “Train Movements” API, both of which were in adjacent formats. 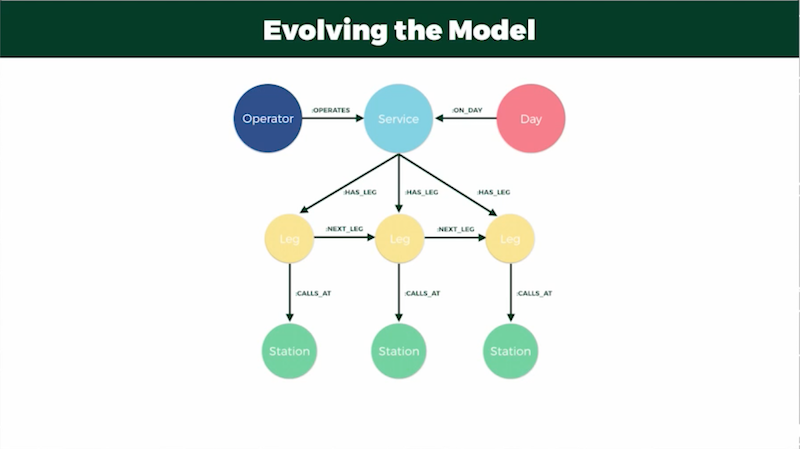 In this model, each service has one or more legs that call out a station. Adding a next-leg relationship to create a links-list of legs meant I could take advantage of index-free adjacency and cut down on the number of indexes I needed to compare. 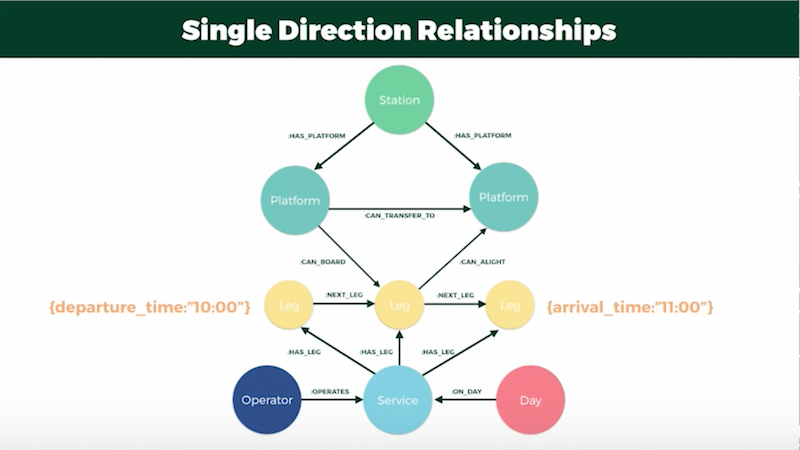 Adding in relationships for both day and operator allowed me to reduce the number of node scans and index comparisons on those nodes once they were pulled out of the database. 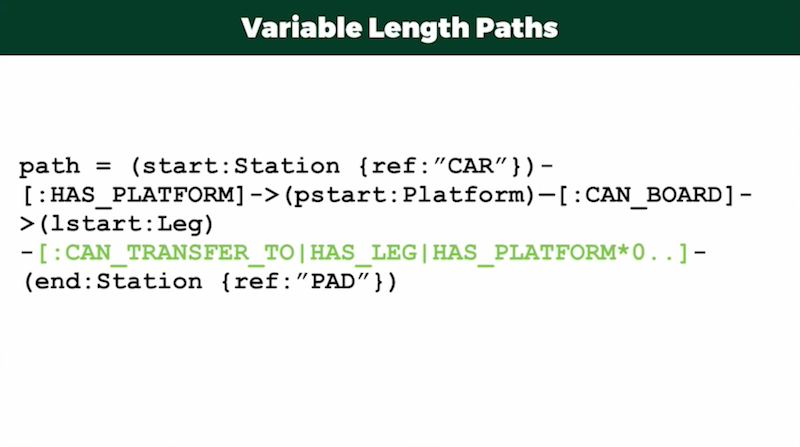 In the updated model, a leg would start and stop at “platform,” and whenever a traveler needed to transfer between platforms, I added a “can-transfer-to” relationship that included properties for both distance and time required for the transfer to ensure the traveler had enough time to make it to their train. 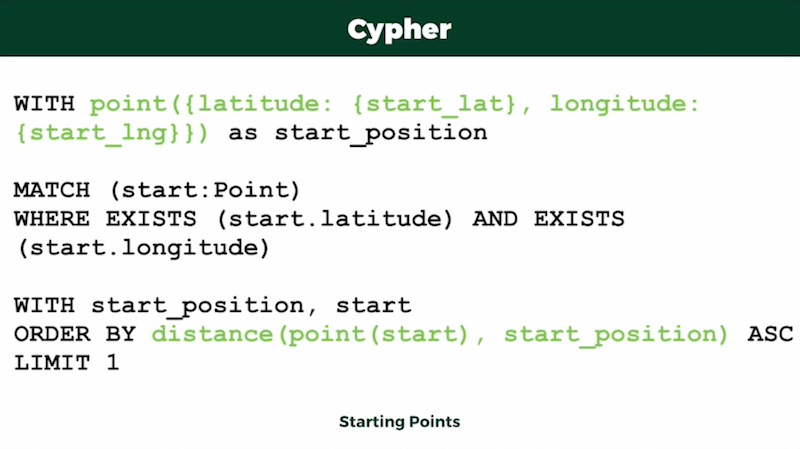 Luckily enough, the Cypher engine does this for you right out of the box, without requiring a background in computer science. I dread to think how complex this would be in a relational database. However, even with this model, the query times were about 30 seconds, which just wasn’t performant enough. I needed to adjust my model to make it more efficient. Unfortunately, at this point, I was still having issues. To fix this, I started to dig down into the results and exclude anti-patterns. 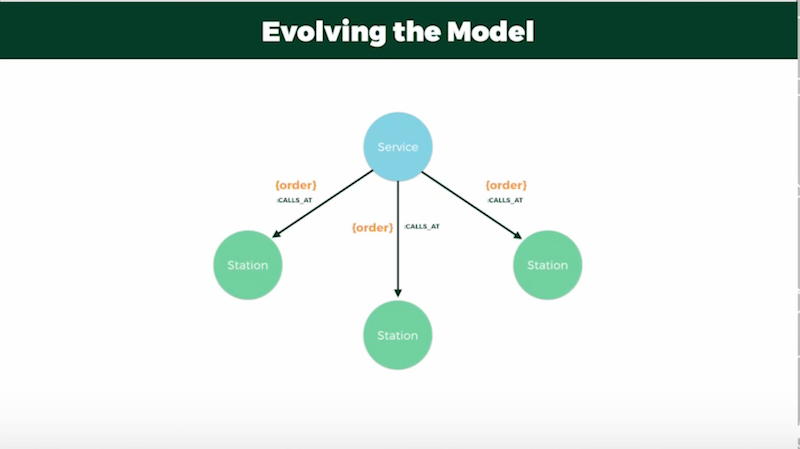 It was at this point that I reached out to Michael Hunger and the Neo4j DevRel team. If you haven’t already done so, head over to Slack – it’s a great resource if you’re ever stuck [Editor’s note: Also, the Neo4j Community page is equally awesome for getting help.]. 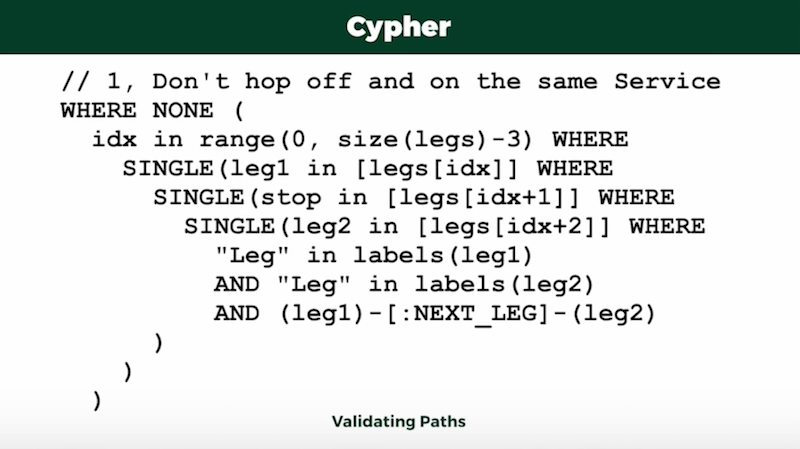 Here I’m taking three adjacent nodes in a path with the pattern of leg, stop and leg, and then finding all the nodes where there’s a “next-leg” relationship between them, and using the “None” predicate to filter all of those out in the results. 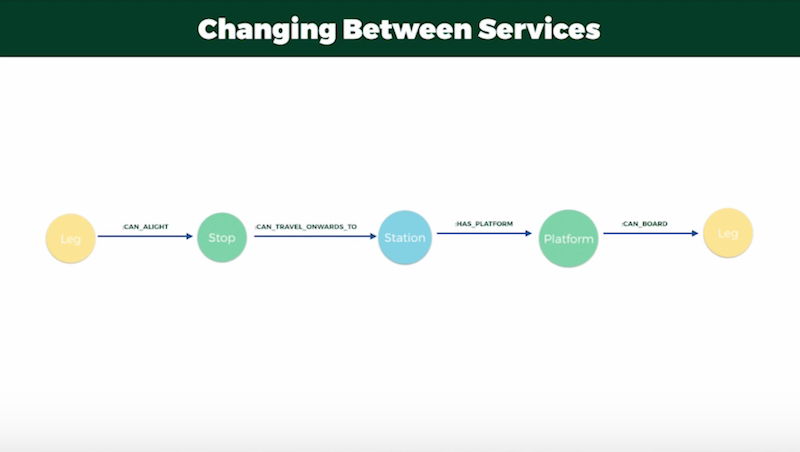 With this query, I’m looking for platform transfers that include a leg, platform and platform transfer – and then comparing the arrival time plus the time it takes to transfer in minutes with the departure time. This ensures the user can catch the second leg of their trip, but won’t have to wait more than 30 minutes. 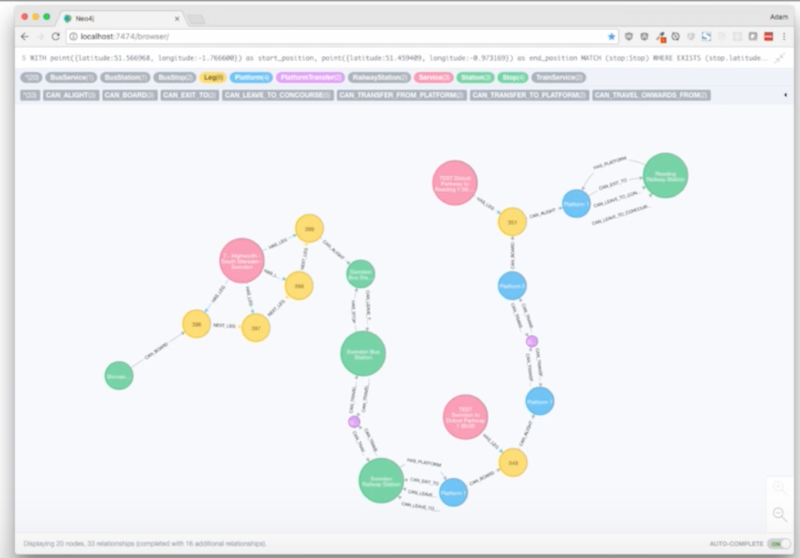 Neo4j made this all very easy, but I encountered an issue that came when I started to implement real-time data. As I had streams of data coming in near real-time, I couldn’t batch it into transactions or combine them. This led to quite a few deadlock areas that went right into the database, and the easiest way to get around these transient errors was to just simply try again. 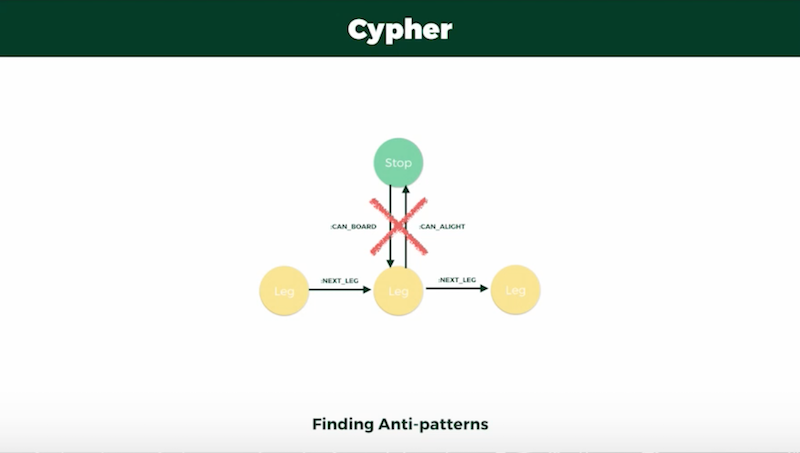 Thanks to Neo4j and Cypher, this complex problem was solved with a single 200-line query on a sample data set of 50,000 nodes and 75,000 relationships, returning results between two and five seconds. To put this into production, I need to use Java’s Traversal API to stop any traversal that doesn’t match my parameters mid-flow. Unfortunately, I’m not a Java developer – but if there’s anyone out there who’d like to team up on this, I’m happy to have a conversation. You can find me on Twitter at @adamcowley and on Slack at @adamcowley. 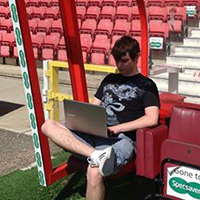 Adam Cowley is the founder at Commit and an experienced Web Developer based in Swindon, Wiltshire. He has a decade of experience designing and developing websites, web applications, contact management systems and native software for a wide range of clients from small businesses, Start-ups, and large International companies. This is great. Could you please publish this as an open source project?